It’s been a while since I’ve written about eye cream, but I really need to. Finding a good eye cream used to be a big struggle for me. Having eczema, dry skin and therefor being plagued with dry lines and dark circles under my eyes, is no fun! 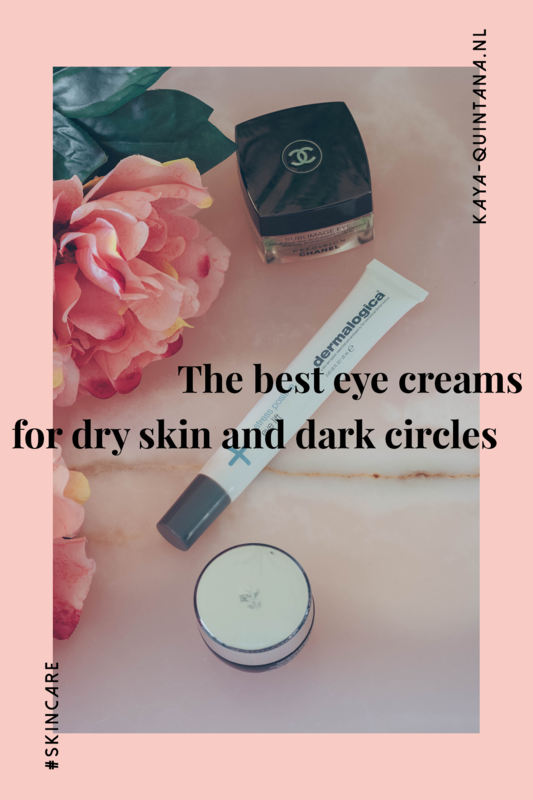 That’s why I’m sharing the best eye creams for dry skin and dark circles. I think skincare is very important, especially when you have a skin disease. It certainly helped me maintain a healthier and better-looking skin. I’ve tested all of these eye creams myself, so I know exactly how they work. And I hope one or more are going to work for you too, let’s go! This is one of the first eye creams that really helped me. Clinique is quite affordable if you ask me and the quality is really good. What I like about this eye cream is that it’s really easy to use, no nonsense! Just apply a bit of the cream around your eyes and voila! I personally use this eye cream in the morning and the evening after taking of my make-up. I apply it under my eyes, but also on my eyelids up to my eyebrows for the best results. 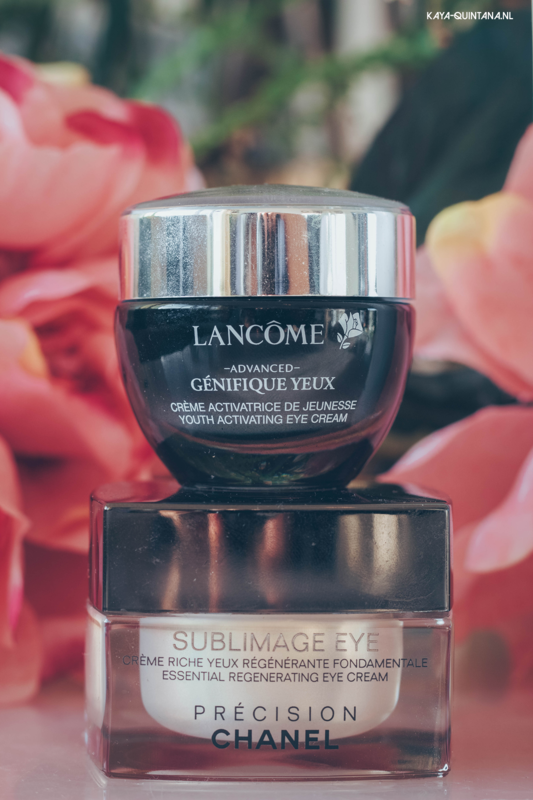 This eye cream soaks into the skin really fast and I see quick results. The original All about eyes eye cream is in gel form. I prefer this one during the summer and I like the rich version (which is creamy) during the winter. This is one of the few eye creams I can use, even when I have eczema. It’s so mild, soft and gentle for the skin, it’s amazing! It’s also free of perfume which is very important for people with eczema. Yes, to me this is one of the best eye creams there is. Once gifted to me when I was still working at Sephora years ago. I thought it was just an overpriced product, because it said Chanel on the box. But I was hooked after using it for a week. I’ve never ever used such a nice eye cream in my life! I don’t know what it is, but this eye cream really feels very good. When I use this eye cream my skin immediately looks a lot better. It looks glowy in the right way and it makes the fine dry lines around my eyes disappear in no time. The texture is also very, very good for people with dry skin. It’s a rich and full eye cream, that just glides over your skin. You also only need a little bit of the cream, and a jar of this eye cream will last you a long time. Yes, it’s crazy expensive for most people, but totally worth it to me. I can honestly say that this is one of the best eye creams I’ve ever had. Mostly because it really does what Chanel promises. It hydrates your skin quickly, makes it look healthier and it helps reduce dark circles. It’s also quite gentle and I’ve never gotten an allergic reaction to this eye cream. What more can I wish for? Another high-end, but very worth it eye cream. Dermalogica is a brand rarely mentioned, but they have great products. 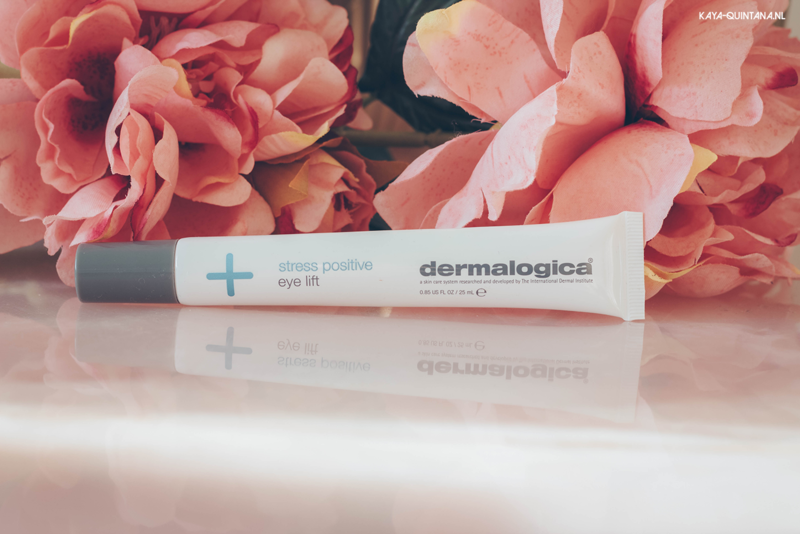 I was gifted their Stress positive eye lift eye cream at a press event, and I’ve been hooked ever since. 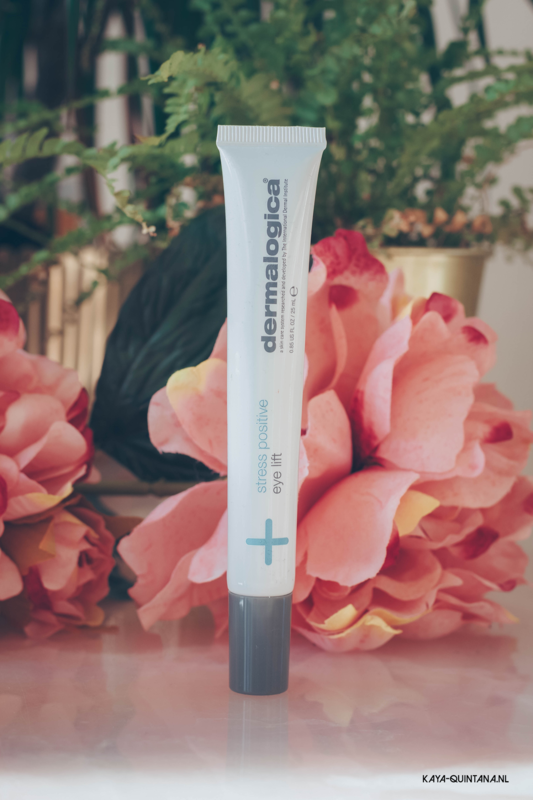 It seems like a simple eye cream in a tube, but it actually has a metal applicator. It looks like a mini iron for your skin, haha! The reason why this little applicator works so well, is because it’s quite cold. 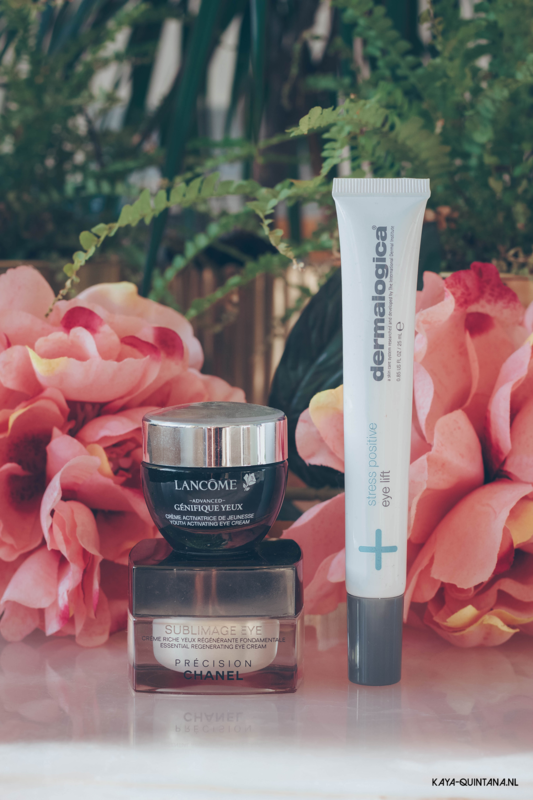 Which is perfect for people that suffer from puffy eyes and dark circles. The cold applicator basically kickstarts your blood circulation and helps get rid of the excess moisture around your eyes. As someone with hay fever I suffer from puffy eyes in the summer a lot. This eye cream has been one of my favorites, because it’s the only one with a cold applicator. The eye cream itself is very light, you only need a little and it soaks in really fast. I feel like this eye cream also tightens up my skin. Fine and dry lines also disappear quite nicely. It’s also a good base for the make-up you might want to apply later. 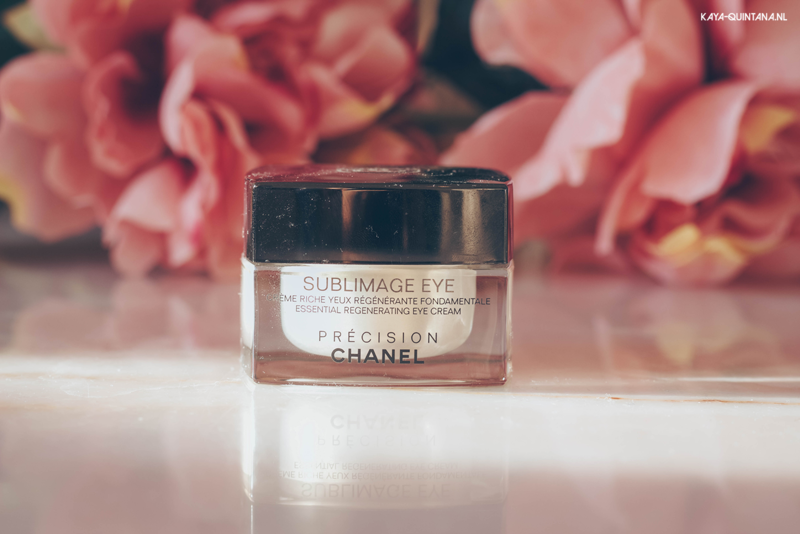 This is one of the best eye creams because it just works. To me, this is a no-nonsense eye cream, no gimmicks. It’s a high-end eye cream, but I still think it’s pretty affordable. It’s very effective when it comes to fixing dry lines, wrinkles and a dull skin. It works quickly, it soaks in fast and it feels good under make-up. It’s not as rich as you might expect, but it does the job. This is the eye cream I grab when I’m in a hurry and I need something good. 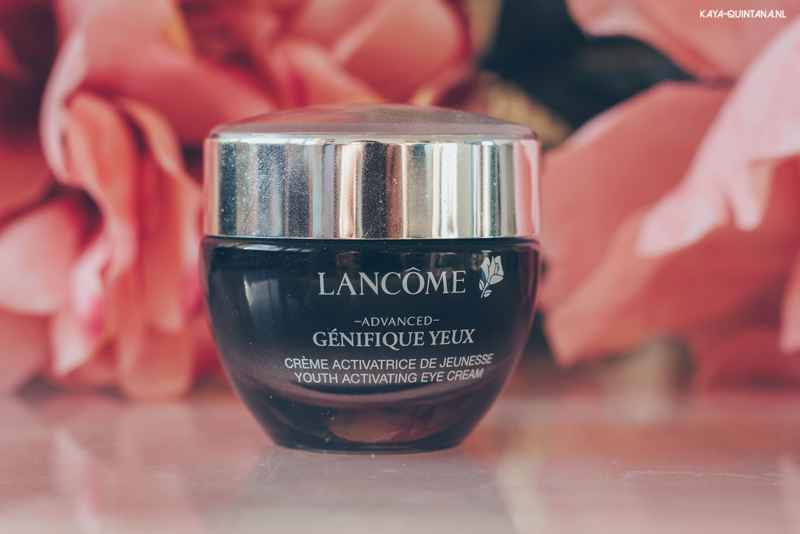 This makes the Lancôme Advanced Génifique eye cream a winner. I do often feel like I need to apply a little bit more of this eye cream though. It soaks in so fast, that I always feel like I didn’t use enough. Which isn’t true, the texture just isn’t as rich or thick as the All about eyes rich by Clinique. It does really do what the brand promises. My skin looks a bit tighter, fresher and it reduces puffiness when I have it. It’s not as good when it comes to the dark circles under my eyes, but hey… I’ve also got concealer for that, haha! All and all, I do really recommend this eye cream to people who want to take care of their skin fast. 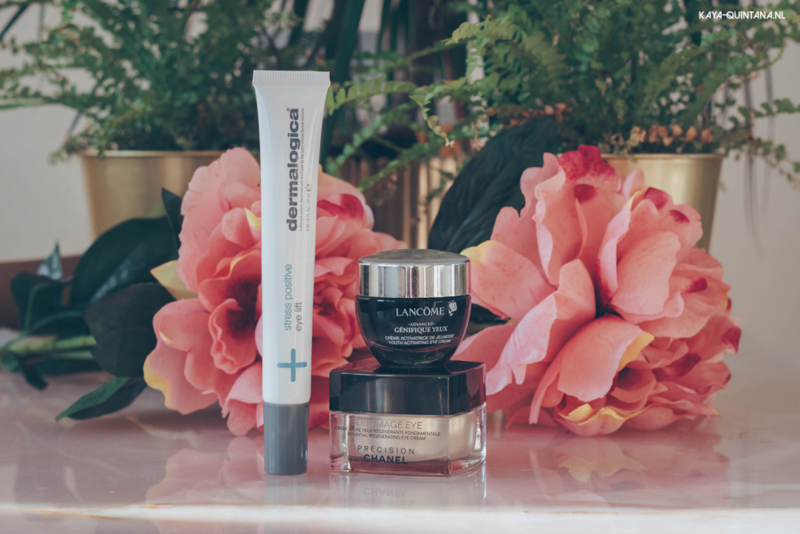 These are the best eye creams I’ve used for dry skin, fine lines and dark circles under my eyes. I hope you’re able to give them a try and let me know what you think. I know these eye creams are mostly high-end, but I wouldn’t want it any other way. Many cheaper or budget products just don’t work for me. The ingredients are often not that good or trigger an allergic reaction. These eye creams are save for me to use and I hope they are for you as well. Let me know what eye cream you are using, because I’m always look for a better one.